When you take on something really brave, I mean something that really, really stretches you, its incredible to experience the support that comes out of the woodworks. I’m talking about the people who cheer loudly for you to succeed! The ones who step in when you are feeling less confident about your decision to be brave. These are your cheerleaders, the ones reminding you why you decided to “step into the arena” in the first place. Thank goodness for those people in our lives. Then there is the critic… Unfortunately, what I have found to be true is that anytime you step into something really BRAVE, there will always be the critic. Those are examples of the critic’s voice. Hurtful? Sure, but when you really gain an understanding of why the critic feels the need to speak such unkind, cruel, judgmental words, it allows you to step back and see it for what it really is. The truth is that the comments made by the critic have nothing to do with you and EVERYTHING to do with them. The critic will cast judgment on others where they feel most vulnerable to shame. This may seem a little silly to some, but I will not step into this world everyday and wait to have the world tell me who I am or what my value is! I can do that for myself POWERFULLY every single day. This is something I even get to teach my sweet girls! When I was younger, I remember being told by a boy that I had “FP”, which stood for Fat Potential. Later in life after bearing children, an individual told me that women who have had babies could never again be attractive. A past mentor/boss of mine once pointed his finger in my face and told me I would never be as good as he was. I could continue on and on with the negative messages I have encountered, but the point I’m trying to make here is that there will ALWAYS be someone lurking in the shadows, or on the front row throwing stones. Many times, we are our own worst critics. So what should we do about it? I say KEEP UP THE GOOD WORK! If there are critics in your life, then you know you must be on to something really special! The critics actually fuel my fire. In fact, it makes me want it more and pushes me to work even harder. This week, I was able to get my pull ups! After having baby number two, I had a lot of issues with my shoulders. I even dislocated the right shoulder twice! 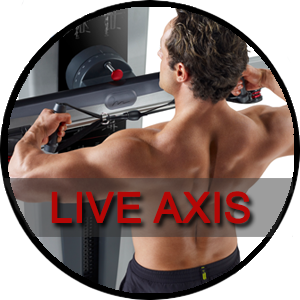 When I would hang from a bar to attempt a pull-up, it literally felt like my shoulder was going to slip right out of the socket. This week I faced the pull-up fear and busted out about 25 pull-ups! (I did them in sets of five). As promised, here are a couple workouts from the week! Warning: The Incline Trainer HIIT workout is going to have you begging your gym owner to purchase FreeMotion Incline Trainers. I don’t blame you… the benefits far out weight a normal treadmill! Here’s to another POWERFUL week of PROGRESS! When I stand on that stage I may not look “perfect,” but I can tell you I will be SO PROUD of the dedication and the effort I have put in to be there with all those athletes standing on the stage that day. Last week I was able to attend, as a spectator, my first figure competition at the NPC Utah Cup. It was an eye opening experience and let me tell you…IT IS A WHOLE NEW WORLD. It was both exactly what I expected and a little different at the same time. I was definitely inspired AND if I am being completely honest, a little FRIGHTENED. All good signs that I am doing something truly out of my comfort zone! One of my teammates, Mikka Vallace, also coached by Jenny and Jeff Later, won the entire Figure category! Mikka gave me permission to share this picture with all of you. I wanted to show you her before picture and progress pictures. NOTICE the weight! This is a very clear illustration why the scale should NEVER be your only measurement of fitness and progress. From 2014 to 2016 Mikka has put on 15 pounds of muscle! Incredible! Today, I am officially 11 weeks out from my competition. June 4th will be the big day! This past week I had 3 workouts a day, most days. Two workouts were cardio and one workout was a new lifting schedule. I loved my new lifts this week and will share one of those workouts with you on the next blog post. 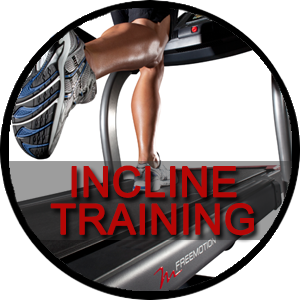 I’m excited to share another cardio workout on the incline trainer with you next week as well. Important to note: Every cardio session I do, I always sip on my BCAA’s. This helps protect my muscles that I am working so hard to build! I leaned on key people this week for support. It’s incredible how important it is to have those people in your corner. Pep talks, words of encouragement, and a soft place to fall goes a long way when you have taken on something that forces you to feel exposed, stretched and vulnerable. The 20-minute walk you take is better than the 4 miles you didn’t run. I was a competitive soccer player growing up. I felt defeated if I received anything less than an A in school. I did extra credit assignments and workouts even if I wasn’t asked. I was named Homecoming Queen, and voted into respected captain and student body leadership positions…ok, so its safe to say I’ve battled with a little bit of perfectionism. Completing tasks perfectly and accomplishing high achievements delivered praise, which I would equate to as love and acceptance. It would be natural for me to allow my self-worth to be tangled up with my accomplishments. Letting myself be vulnerable and truly seen means that my flaws are exposed and everyone can see me for the imperfect human that I really am. Thank GOODNESS for the opportunity to grow and learn. Today I choose to give myself permission to be flawed. This journey to the stage has caused me to practice this on a daily basis. It’s literally something I practice everyday. For goodness sakes I am going to stand on a stage in a competitors bikini with “flawed” marks on my tummy. This week was far from “perfect.” I am a Mother, a wife, a Director of Education, a personal trainer, a presenter, a Sunday school teacher, a reading volunteer in my daughter’s class, a soccer coach, a landlord, a friend, a sister, a daughter and so on… I’m sure your list looks a similar. With all these amazing things in my life, I would miss out on incredible opportunities BIG TIME if I was only willing to step into the arena if I’m guaranteed a perfect outcome. Although I did get all of my workouts in this week, one of them was completed in this very small hotel room in Mexico City, Mexico. The backpack you see on the shelf doubled as my weighted pack for leg day. In the past I would have been disappointed in myself for not getting it done exactly how my coaches asked, but on this day I was proud of my improvisation. International travel made it trickier to stick to the nutrition plan, but every meal I sat down to consisted of smart decisions. This week was tough, I have a long way to go, and I have come a long way in more ways than just the changes in my body. Here are a few of my progress pics from this week. I’m excited to share one of my lower body workouts with you this week! We filmed a short time lapse video of each exercise and I even included reps and sets for you. Research shows that you will activate your Glutes 68% more when walking on an incline versus on a flat surface. 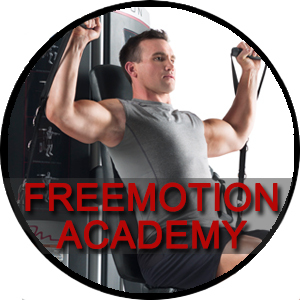 I am lucky because I have access to the FreeMotion Incline Trainer. This machine goes all the way to a 30% grade. I literally do 20 minutes of cardio above a 20% grade and know I’m getting the results of a 72-minute workout because I am training on incline. I also love that my heart and lungs are being conditioned, but not at the expense of my muscles. I’m working so hard to build and maintain muscle growth and I know that when I do my cardio on the incline trainer, that muscle is being activated and supported. 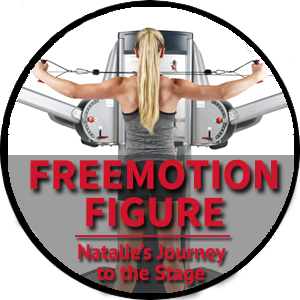 Try this workout on the FreeMotion incline trainer and you will BURN FAT and BUILD MUSLCE…AND all you have to do is walk! REPEAT 4 ROUNDS OF THIS FOR A 20-MINUTE FAT BURNING, MUSCLE BUILDING CARDIO SESSION! My focus this week was 100% on my nutrition. I was really happy to report this completed goal to my coaches this morning! I have always been an active person. I grew up swimming, water skiing, roller blading, climbing in the hills behind our house, playing soccer, volleyball, running track and a lot of dancing on the front lawn with my sisters. Since I started this journey to the stage, I have completed every strength and cardio session required…sometimes even adding a little extra. BUT WHAT ABOUT THE FOOD!!! You all know the vital part it plays in our health, weight loss journey, and performance goals. For so many of us food becomes the comfort blanket, the stress reliever, the reward or the center of celebration. We reach for a certain salty treat, or sweet fix to mask or soothe feelings that are down right uncomfortable to feel. I want to share something with you that has really helped me. I learned this simple technique from a mentor of mine, Marci Lock. I took a lot of baths this week ☺. You might notice it is my number 1! There is no doubt that we will face stress and trials at work, at home, in our relationships and personally. It is all part of the growth process! The big question is HOW ARE YOU DEALING WITH IT? Are you making choices that support your goals and health or are you making choices that ultimately make you fatter, sicker send you further down the hole of sadness and stress! That one is your choice! My body is changing, slowly but surely. Here are a few “Flex Friday” pictures from this week. I promise not to obnoxiously bombard you with flex Friday pics all the time; its just fun to share my transformational progress every once in awhile. Here’s to another week of 100% nutrition and completing a lot of items off my LOVE list!